Welcoming a New School Year! Our founder shares his thoughts and vision for the new school year. Check in to see how you can help! In early October, I received a wonderful email from our National Director, Mr. Inasson Mathurin, giving me a brief update about the new school year. Reading the e-mail I could see his smile. All of the school staff and faculty (30 teachers and administrators), the leadership team, and the 500 students had gathered on the courtyard to open the school year with a prayer meeting and a grand kick-off. The excitement of the school year opening reflected the importance of this year, as we are adding the final piece: this year we are able to add 13th grade, Philo. We have nine students that were successful in taking the national exam from 12th grade, Rheto, and now they’re attending Philo in Zorange. Without any secondary schools in the remote communities of Haiti, this is an extraordinary accomplishment for these nine students. Usually, students end up in Port-au-Prince for the seventh grade or they drop out of school all together. We have the honor and the privilege to partner with the community and provide this grade at our school. This allows the students to stay within their communities as they finish their secondary schooling. Although we are really excited about the school year, we continue to face challenges as we strive to provide a good an education to our students in Zorange. We have yet to establish a lunch program for the entire school; right now we’re feeding one grade and we need to feed all 16 grades at the school. Along with providing the students with meals, our goal is to procure funds to purchase laptops which will allow us to enrich the student’s curriculum and open up new learning resources to the students. With $300 we can buy a robust and refurbished laptop that can help provide computer literacy to our students. If you’re interested in donating a laptop or funds to purchase them, please contact the foundation! We are also looking to continue stocking up the library. Everyone knows the power of reading and we want to provide the same opportunities to our students in Zorange. Access to good quality books will undoubtedly help the students reach worlds that are, in many respects, far away. These book funds will also help to purchase French books in Haiti so that the student can continue to cultivate the knowledge of the language. 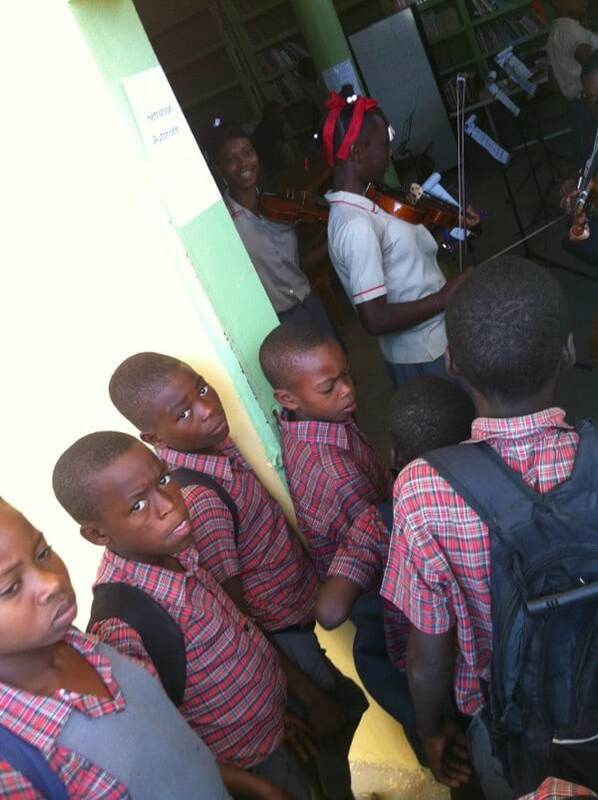 Finally, we are continuing to expand the programs in Haiti and we hope to increase the number of violins and keyboards in order to provide more students with opportunities to explore music. Hope for Haiti Foundation is working hard to enhance its initiatives for our community members in Zorange. You have and will continue to play a major part in this mission. Thank you so much!